Béjaïa (Kabyle: Bgayet, ⴱⴳⴰⵢⴻⵜ), formerly Bougie and Bugia, is a Mediterranean port city on the Gulf of Béjaïa in Algeria; it is the capital of Béjaïa Province, Kabylia. 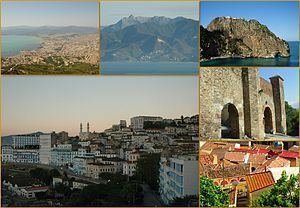 Béjaïa is the largest principally Kabyle-speaking city in the Kabylie region of Algeria. The history of Béjaïa explains the diversity of the local population. Its inhabitants are mainly Berbers. The town is overlooked by the mountain Yemma Gouraya, whose profile is said to resemble a sleeping woman; other nearby scenic spots include the Aiguades beach and the Pic des Singes (Monkey Peak); the latter site is a habitat for the endangered Barbary macaque, which prehistorically had a much broader distribution than at present. All three of these geographic features are contained in the Gouraya National Park. The Soummam river runs past the town. Under French rule, it was formerly known under various European names, such as Budschaja in German, Bugia in Italian, and Bougie [buˈʒi] (the latter two being words for candle, derived from the town name because of its wax trade). Béjaïa stands on the site of the ancient city of Saldae, a minor port in Carthaginian and Roman times in an area at first inhabited by Numidian Berbers and founded as a veteran colony by emperor Augustus. It was an important town and a bishopric in the province of Mauretania Caesariensis, and the later Sitifensis. In the 5th century, Saldae became the capital of the short-lived Vandal Kingdom of the Germanic Vandals, which ended in about 533 with the Byzantine conquest, which established an African prefecture and later the Exarchate of Carthage. After the 7th-century Muslim conquest, it was refounded as "Béjaïa"; the Hammadid dynasty made it their capital, and it became an important port and centre of culture. The son of a Pisan merchant (and probably consul), posthumously known as Fibonacci (c. 1170 – c. 1250), there learned under the Almohad dynasty about Muslim mathematics (which he called "Modus Indorum") and Hindu-Arabic numerals. He introduced these and modern mathematics into medieval Europe. A mathematical-historical analysis of Fibonacci's context and proximity to Béjaïa, an important exporter of wax in his time, has suggested that it was actually the bee-keepers of Béjaïa and the knowledge of the bee ancestries that truly inspired the Fibonacci numbers rather than the rabbit reproduction model as presented in his famous book Liber Abaci. In 1315, Raymond Lully died as a result of being stoned at Béjaïa, where, a few years before, Peter Armengaudius (Peter Armengol) is reputed to have been hanged. After a Spanish occupation (1510–55), the city was taken by the Ottoman Turks in the Capture of Bougie in 1555. For nearly three centuries, Béjaïa was a stronghold of the Barbary pirates (see Barbary States). The city consisted of Arabic-speaking Moors, Moriscos and Jews increased by Jewish refugees from Spain, with the Berber peoples not in the city but occupying the surrounding villages and travelling to the city occasionally for the market days. City landmarks include a 16th-century mosque and a casbah (fortress) built by the Spanish in 1545. A picture of the Orientalist painter Maurice Boitel, who painted in the city for a while, can be found in the museum of Béjaïa. It was captured by the French in 1833 and became a part of colonial Algeria. Most of the time it was the seat ('sous-préfecture') of an arrondissement (mid 20th century, 513,000 inhabitants, of whom 20,000 'Bougiates' in the city itself) in the Département of Constantine, until Bougie was promoted to département itself in 1957. During World War II, Operation Torch landed forces in North Africa, including a battalion of the British Royal West Kent Regiment at Béjaïa on November 11, 1942. That same day, at 4:40 PM, a German Luftwaffe air raid struck Béjaïa with thirty Ju-88 bombers and torpedo planes. The transports Awatea and Cathay were sunk and the monitor HMS Roberts was damaged. The following day, the anti-aircraft ship SS Tynwald was torpedoed and sank, while the transport Karanja was bombed and destroyed. After Algerian independence, it became the eponymous capital of capital of Béjaïa Province, covering part of the eastern Berber region Kabylia. With the spread of Christianity, Saldae became a bishopric. Its bishop Paschasius was one of the Catholic bishops whom the Arian Vandal king Huneric summoned to Carthage in 484 and then exiled. Christianity survived the Arab conquest, the disappearance of the old city of Saldae, and the founding of the new city of Béjaïa. A letter of Pope Gregory VII (1073–1085) exists, addressed to clero et populo Buzee (the clergy and people of Béjaïa), in which he writes of the consecration of a bishop named Servandus for Christian North Africa. No longer a residential bishopric, Saldae (v.) is today listed by the Catholic Church as a titular see. and still has incumbents by that title (mostly of the lowest (episcopal) rank, some of the intermediary archiepiscopal rank). This titular see was for a long time, alternatively and concurrently with the city's authentic Roman Latin name Saldae (v.), called Bugia, the Italian language form (used in the Roman Curia) of Béjaïa. 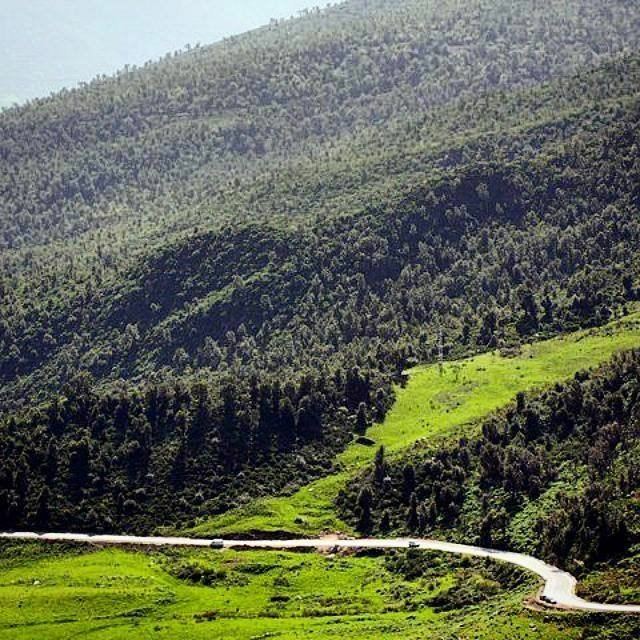 Béjaïa, like most cities along the coast of Algeria, has a Mediterranean climate (Köppen climate classification Csa), with very warm, dry summers and mild, wet winters. The population of the city in 2008 in the latest census was 177,988. The northern terminus of the Hassi Messaoud oil pipeline from the Sahara, Béjaïa is the principal oil port of the Western Mediterranean. Exports, aside from crude petroleum, include iron, phosphates, wines, dried figs, and plums. The city also has textile and cork industries. Cevital has its head office in the city.